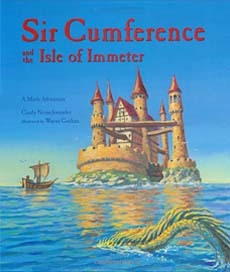 Sir Cumference and the Isle of Immeter is another medieval geometry adventure, this time teaching the concepts of area and perimeter. Radius and his intrepid cousin Per travel to the Isle of Immeter to tame the sea serpent and help bring peace to the area. To do so, they must use a series of geometry formulas about finding the area and perimeter of quadrilaterals and circles. 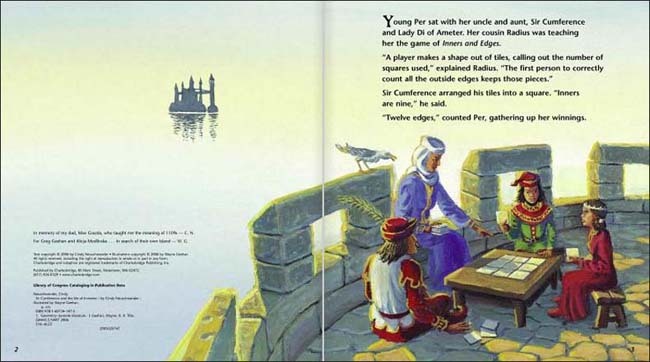 As with the other books in the series, this book is best when read to students who are familiar with finding area and perimeter, so that they can solve the quest along with Radius. 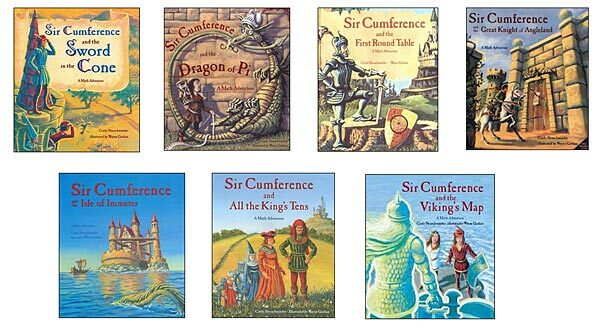 Below are sample spreads from inside Sir Cumference and the Isle of Immeter. This spread is fairly representative of the amount of text on each page and the illustrations. 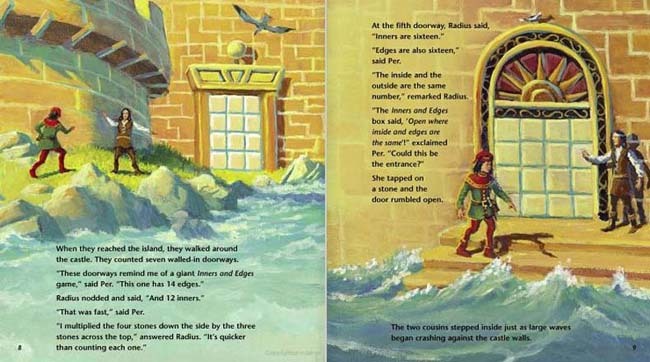 In this spread, Per and Radius have just arrived on the Isle of Immeter and are faced with their first challenge--playing the 'inners and edges' came for the doors in order to find which door has the same number for both.